12. 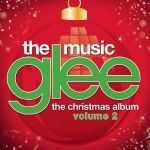 Glee Cast - Do They Know It's Christmas? It starts out surprisingly decently, with some listenable and even good covers, and the original tracks are quite good as well. And then it devolves into horror. I guess it's not as bad as I was expecting, but it's not good. Saison 3 - épisode 9.